What is Jennifer Lawrence not good at? On top of acting, she's now added another skillset: singing. 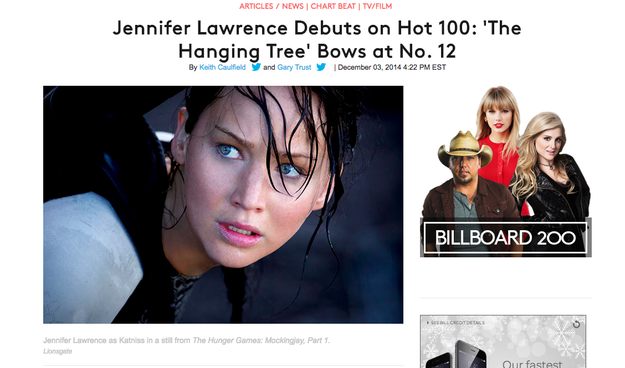 She recording a hymm called "The Hanging Tree" for The Hunger Games: Mockingjay Part 1. The last time she showcased her voice was on David Letterman, where she actually said that singing is her biggest fear. 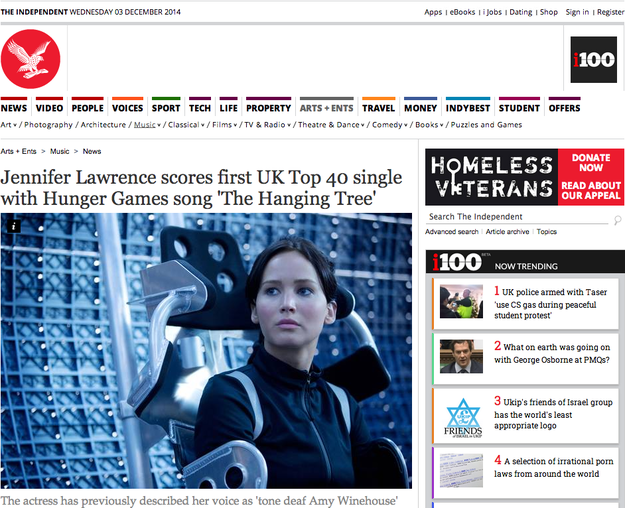 The Hanging Tree was co-written by The Lumineers and Hunger Games author Suzanne Collins. It became no. 14 on the official U.K. singles Chart and No. 12 on ARIA's Australian Top 50 Singles Chart. And it came in at 12 on the Billboard Hot 100.